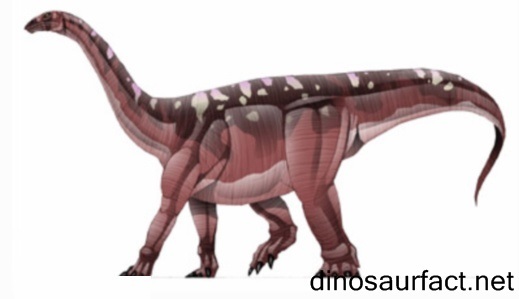 Blikanasaurus, most commonly known as the Blikana dinosaur was discovered in the year 1965 at Lower Elliot Formation rocks near Blikana, located in what is now the Eastern Cape Province of South Africa. It was officially identified over two decades later and till then its remains amounted to a single hind limb. 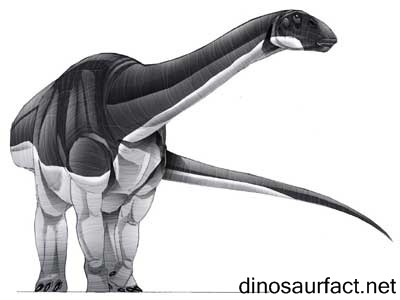 The hind limb, very stocky with unusual positioning of its toes and strong ankle bones, was originally presumed to belong to a giant prosauropod (a non-sauropod sauropodomorph) but recent studies indicate that it may have well belonged to one of the oldest true sauropods. The Blikanasaurus is still much of an unsolved mystery and most facts about them are scientifically presumed based on what little remains have been discovered of it. Blikanasaurus gets its name from the Bilkana Mountains, close to its original discovery site, and the Greek word 'sauros' which means Lizard. Cromptoni, the species epithet, was named such to honor Alfred W. Crompton, who was a pioneering figure in the discovery of fossils in the region and the then director of the South African Museum (later Harvard and Yale). He, along with M.L. 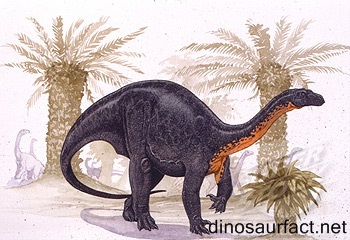 Wapenaar, initially classified the unpublished findings as Melanorosaurus. The original site where the fossil of the Blikanasaurus was discovered is the 'Passage Beds' of the Lower Eliot Formation, part of the Stormberg group and Karoo supergroup of mountains. This was approximately 1.6 km northeast of the Bilkina Trading Store in Transkei district of Eastern Cape Province in South Africa. The holotype or the lower part of a supremely stocky leg was discovered by Dr. Chris Gow in January of 1962. In 1984, J.W. Kitching managed to extract a single metatarsal (foot bone) from a donga (gully) in the Ladybrand district of the Eastern Free State, also in South Africa. The only known documented skeleton and skull of Melanorosaurus readi and the 'holotype' of Eocursor parvus was also recovered from the same gully. 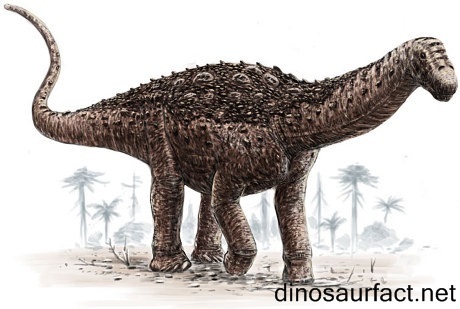 The Blikanasaurus was one of the earliest dinosaurs in Africa that would eventually evolve into a long necked sauropod dinosaur. There is evidence to suggest that its ancestors may have actually originated from South America and may have walked to Africa when most of the continents were still connected by land masses. It was probably one of the first dinosaurs to walk on all four due to its fairly heavy size; although it might have been able to stand and move around on its hind legs when needed. The Blikanasaurus belongs to a time when Nature was experimenting with different designs and is a unique chapter in the evolution of dinosaurs. Recent studies, however argue that its unique design may have been a dead end as several of its features like the much reduced fifth metatarsal (foot bone) are not seen in future species of dinosaurs.